When I got my first graduate degree — in Writing — I needed it to update my high school teaching license. Essentially, for my career, I had to have that degree. Seven years later, I graduated with a second graduate degree, an MFA in Poetry. At the time I thought of that degree as a must-have, though now I see that it is more of a nice-to-have diploma. Which degrees helped me out in the long run — especially now that I don’t teach anymore? Both, probably. I may not write “poetry” for my job at Capture Higher Ed, but I certainly call upon all my resources in writing. And well, I do admit to a bit of flourish now and then. When thinking about graduate schools, says U.S. News & World Report, make sure that the degree you want is a “must-have,” and not just a “nice-to-have.” With some professions, like medicine or law, it’s a must-have. With others, it may not be required, but it sure may make a student more marketable. 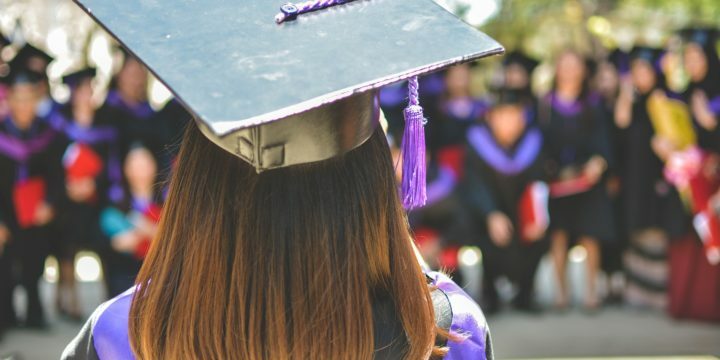 With that introduction, U.S News & World Report’s recently announced their annual tradition: the rankings for “2019 Best Graduate Schools.” Six programs are ranked: business, education, engineering, law, medicine, and nursing. So where does Harvard Business School fall in the 2019 Best Graduate Schools? Tied with the University of Chicago. UC Berkeley broke into the top 10 of law schools. For primary care medical school, UNC Chapel Hill took the lead, and in nursing, Johns Hopkins University toppled Duke from the No. 1 spot. If I’m making this sound like a race, that may be only because here in Louisville, we just came out of the Kentucky Derby season. That and, well, my numerous graduate degrees in writing make me lean into metaphor, naturally. Capture, my employer, recently moved into graduate school recruitment. Is it any different from undergraduate recruitment? Not much. Granted, the students on both sides go for different reasons, but the point of finding the “right school” for the “right student” hasn’t changed a bit. I invite you to learn more about graduate recruitment with Capture Higher Ed.